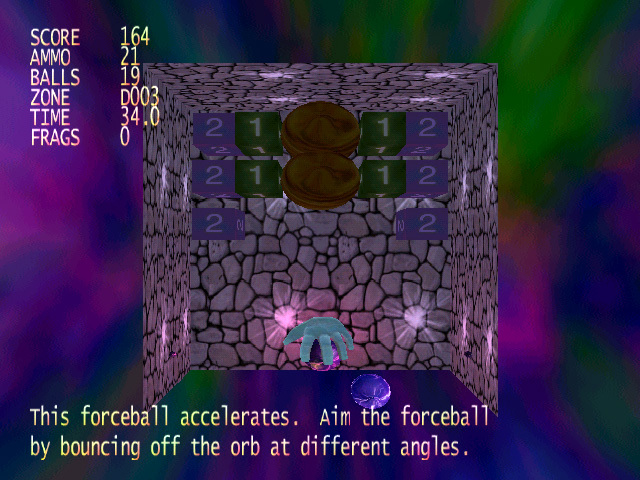 Orbs of Attrition is a game in which a user controls a paddle used to strike one or more balls, keeping them in the playing field in order to accomplish various objectives, such as destroying obstacles, vanquishing opponents, and completing puzzles. 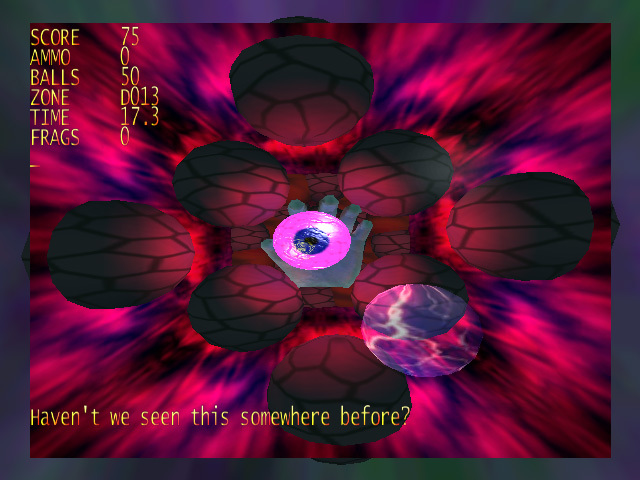 Orbs adds a new dimensions to this classic genre...literally. In contrast to previous '3D' paddle games which enhance standard 2D gameplay with 3D graphics, Orbs offers a completely 3D experience, including true three dimensional game levels, obstacles, and motion, in addition to 3D graphics, 3D paddle and camera control, and 3D positional audio. Think three-dimensional air hockey meets Arkanoid on steroids. 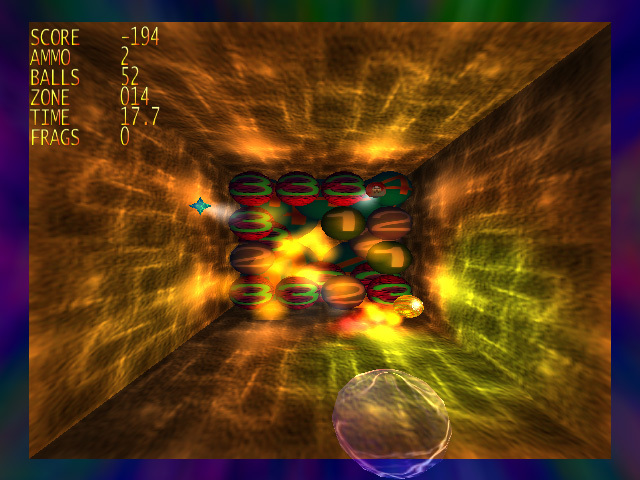 Nearly twenty types of gameplay are included with varied objectives, including survival mode, versus battles, racquetball, puzzle mode, and special classic retro mode. Guarenteed 100% Safe and Secure! 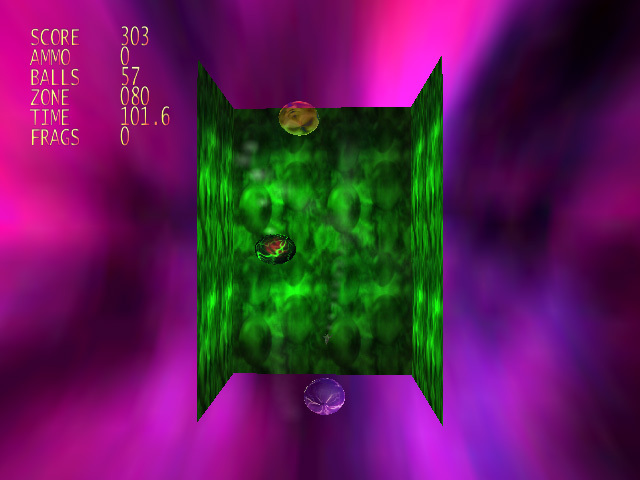 The demo contains the first 21 levels of Orbs of Attrition. If you are bandwidth concious, don't worry, it weighs in at just over 3 MB (7 minutes at 56 kbps, and worth every one!). No further download is required if you decide to purchase the full version from within the high quality demo. High speed turbo boost on demand-eliminate that nasty behind the blocks wait! Awesome special effects, including dynamic 3D lighting, shaders, environment mapped bump mapping, and particle explosions! Scalable technology-works great on low end computers, and looks great on high performance systems! © 2003 Trinity Games. All rights reserved.